Good Morning Stampers! I’m still stamping, but they are all projects you have seen before so I thought I’d send an advent hello with a picture of our creche and our Christmas tree! All is almost in readiness….. I hope everyone is having as much fun as my friend Lorraine and her grandson…she posted a Christmas hello with her grandson that is just hysterical. Little ones sure add cheer to the air! (My little ones are big now, but they are still my “little ones”!) Have fun in this beautiful snowshower today! Score the cherry cobbler paper a half inch on each side (portrait) and score it at 2″, 2 1/2″, 7 1/4″ and 7 3/4 inches (landscape). Cut off the two little sections up to 2 1/2″ (portrait) and the two tiny squares between 7 1/4″ and 7 3/4″. Add the Designer Series Paper and then fold on all score lines and glue the bottom together on the sides. Then, fold the Whisper White paper up to form a pocket, glue the sides. Fold the top skinny little piece toward the back, cut a little strip off from it and then glue it inside in the space between the 7 1/4″ and 7 3/4″ folds. 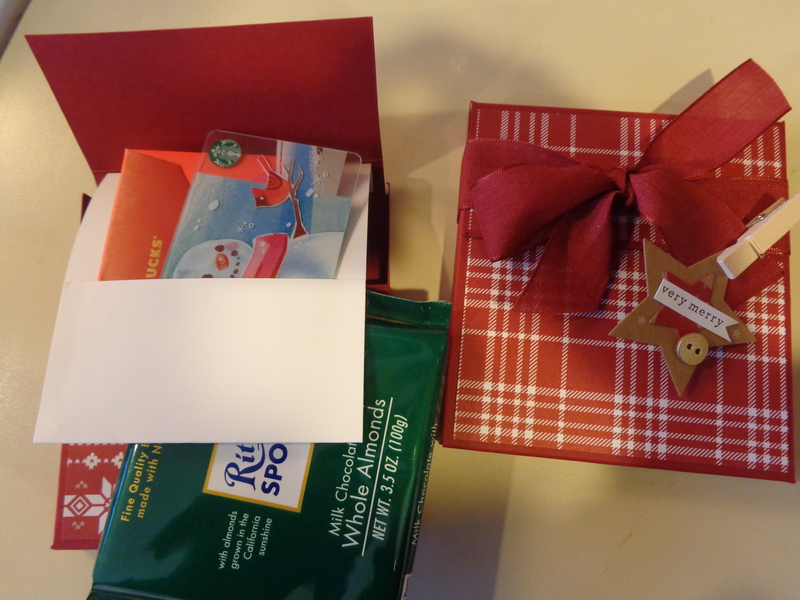 Add a chocolate bar (or whatever), add a gift card, tie with a ribbon and embellish. CUTIE PATOOTIE!!! Good Morning! 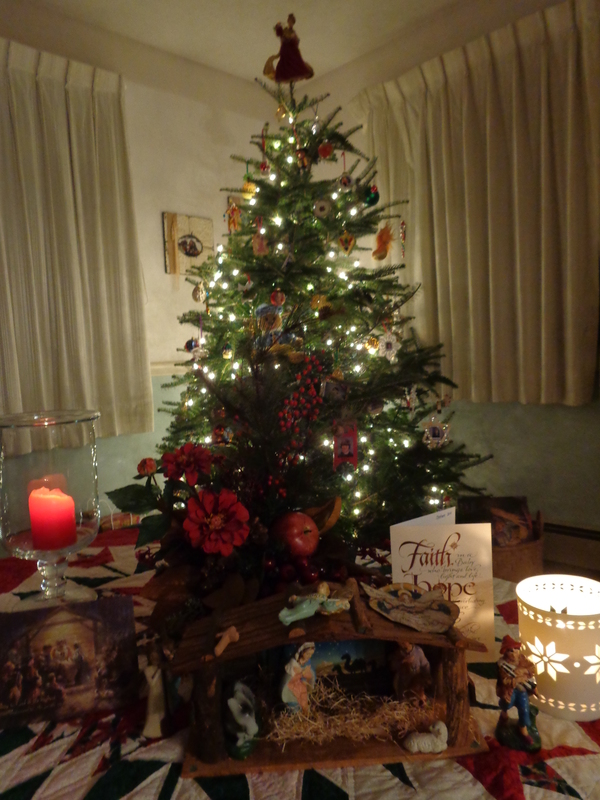 There seems to be magic in the air today with the snow coming down and “Advent at Ephasus” singing through the house! 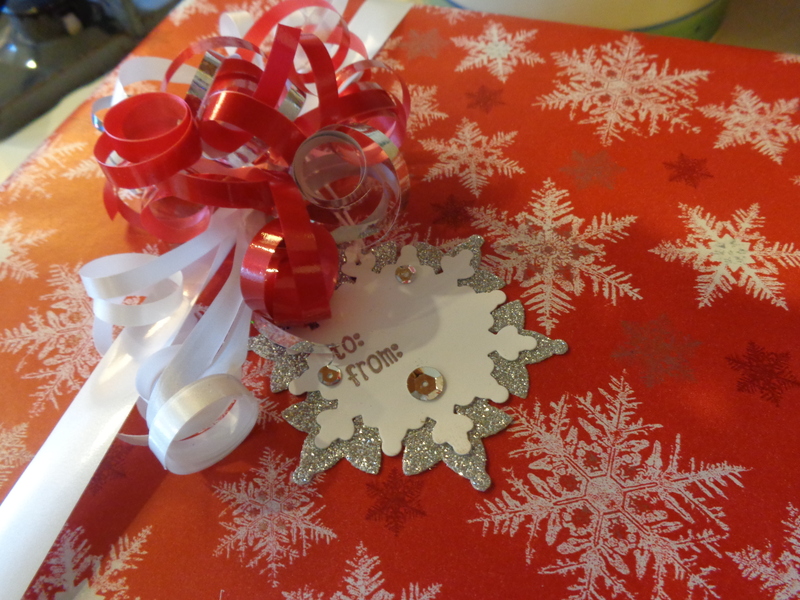 This is a quick tag I made using Festive Flurry Framelits, silver glimmer paper, white cardstock and some silver sequins. The silver heat embossed “to: from:” is from the Ronald McDonald House stamp set, “Tag It.” It’s fun to add that little home-made touch, however small! Have a tag making wintery day, Dawn. Good Morning! 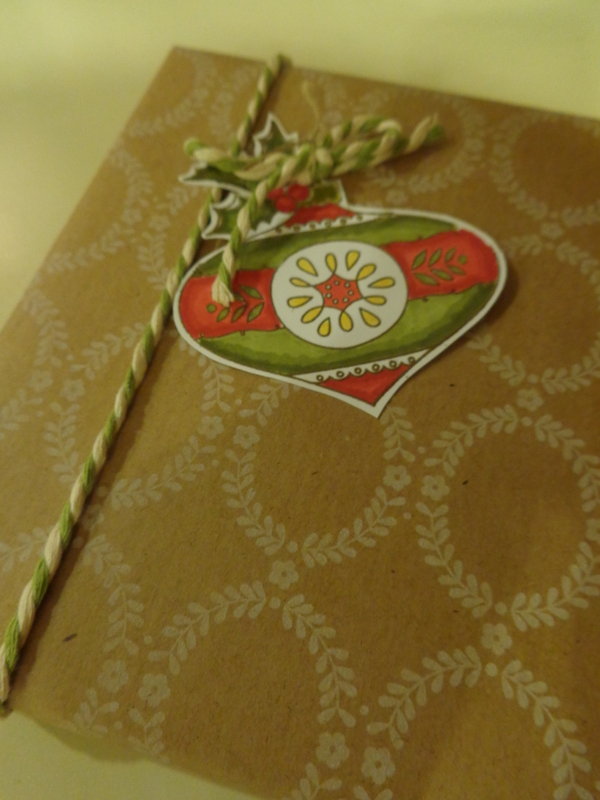 Is anyone making Gift Tags as Christmas gifts? The Christmas Bauble stamp makes a beautiful tag, embossed in gold and colored with blendabilities. I didn’t buy the blendabilities, but they are a free item in the Sale-A-Bration Catalog coming out in January (demonstrators can order from it one month early), so I decided to give them a try. I haven’t mastered the blending technique but it sure is relaxing to sit and color! This reindeers “rack” came from my good friend and Stamping Peace Leader, Mimi, and is just one of many beautiful cards that she made with the Merry Monday Challenge. 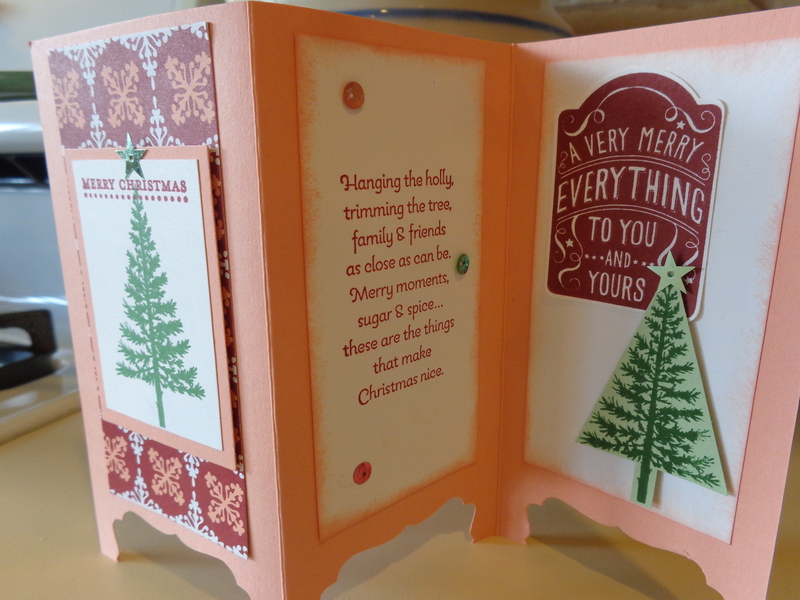 I wish I had continued playing along with that challenge…I’d have all my Christmas cards finished by now! I know the reindeer comes from one of last years stamp sets, but I don’t know the name of it. The sentiment comes from “More Merry Messages.” Thank you Mimi! 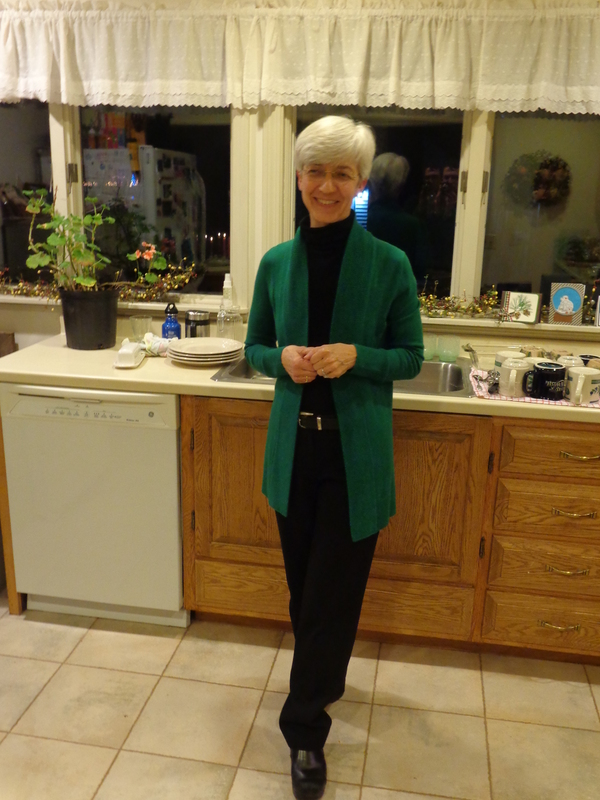 This is another short and sweet post…so many Christmas preparations going on here! It’s snowing and we’ve got Christmas carols playing on Pandora Internet Radio…the spirit is in the air! Have a great day! Good Morning Stampers! 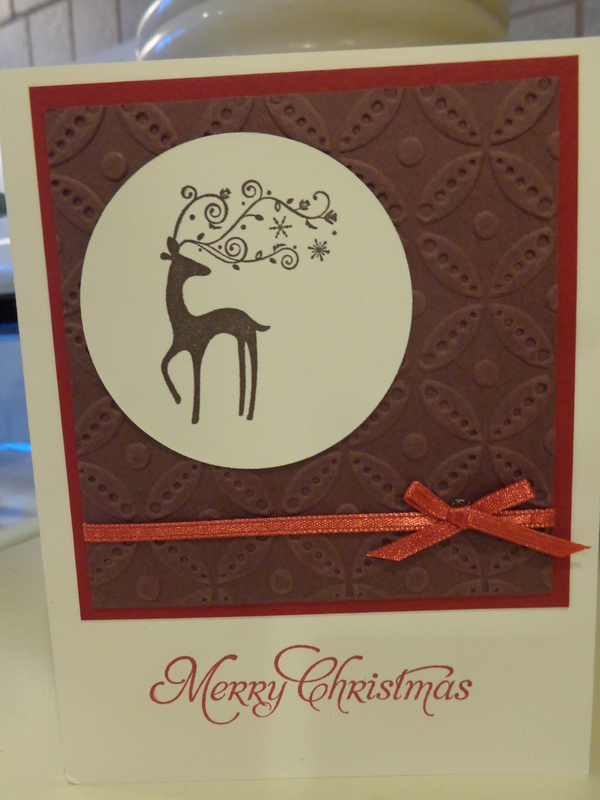 I hope you had an amazing week-end…I know our Nancy in New York reader went to a card party and made 12 Christmas cards! This card I made at our Maine Stamping Day back in September. This week-end I added the sentiment in the middle panel and mailed it off! The lady that taught us this project, Jeaninne Tarrio, was so kind and patient…we had alot of fun. Have a great day preparing for Christmas (or Hunnakah or Kwanza). Thanks for stopping by this morning! The Gift Certificate to end all Gift Certificates!!! You can stop shopping now! I just made THE cutest Stampin’ Up! Gift Certificates EVER! 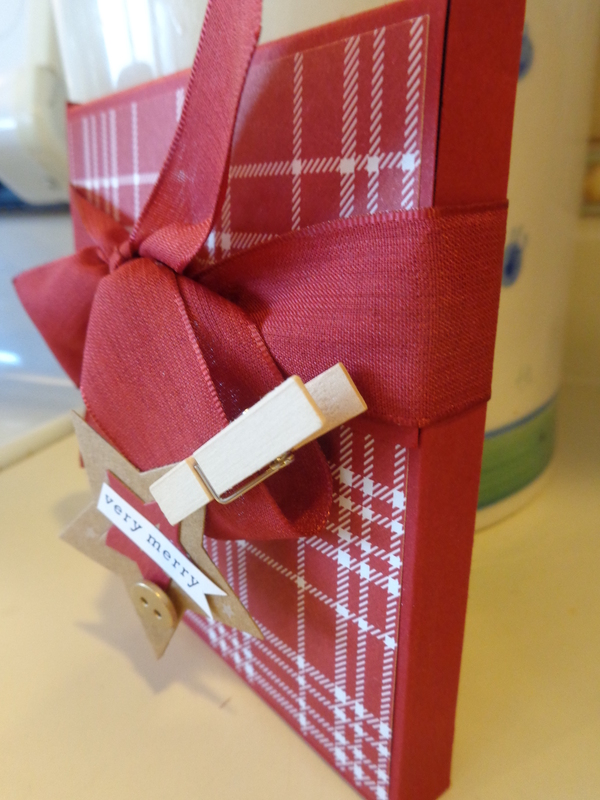 It is a project I cased and turned into a gift certificate holder. It’s actually four gifts in one! I’m not posting a picture of them because some of you may end up receiving one and I don’t want to spoil the surprise. If you’d like to purchase one for your favorite someone, just let me know!